The idea is great – let others enjoy pieces they wouldn’t usually have access to and obviously a great way of supporting sustainable fashion. But what about if the person damages your one off vintage jimmy choos? The site is an invite-only community so I guess that cuts down on random riff-raffs but accidents still happen. I’m guessing there are codes of conduct to follow to help avoid this. I’ve signed up my interest anyway as I’m curious to know more and have more than enough vintage pieces ideal for rental. 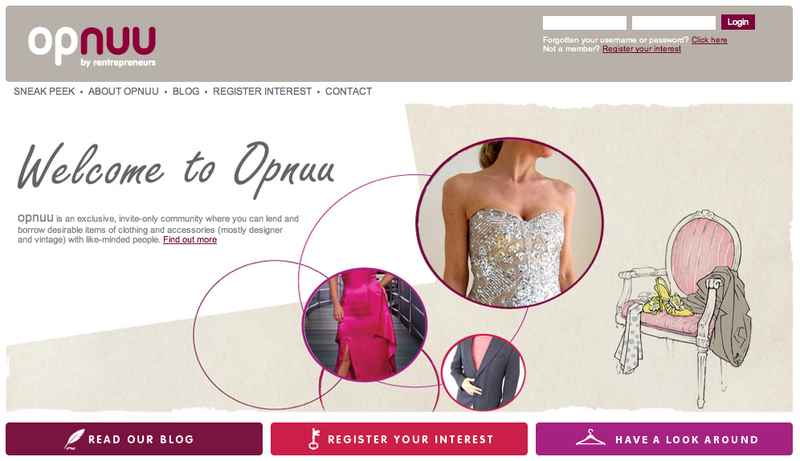 With regard to your query about items being lost or damaged: Since opnuu is an invite-only fashion rental site, our community is based on personal contacts. We trust our members to treat borrowed items as if they were their own. But like you said – accidents do happen (unfortunately! )… If an item gets damaged and the damage is repairable, the borrower should pay for fixing it. In the event of the item being lost or damaged beyond repair, a Replacement Value will be charged and the item gets sent back to the borrower. The Replacement Value is the price the lender places on a specific item of clothing in the event the item gets lost or damaged beyond repair. The maximum Replacement Value is £500.00. It may be worth pointing out that opnuu runs an open review and rating system to help you identify borrower and lender profiles. We look forward to welcoming you on opnuu! Hi Laura – thanks so much for posting the info – really helpful.. and I love the idea of a user-regulated and user-rated system. Looking forward to getting my golden glad rags on Opnuu!